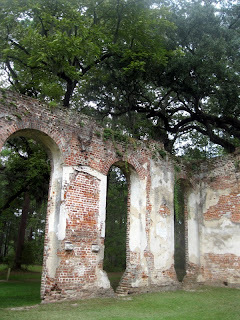 When I'm cutting across the state, headed to Beaufort or Hilton Head, I love to stop by the Old Sheldon Church ruins. It's not worth a special trip, there's not much there, but if you're driving by, it's well worth the stop. 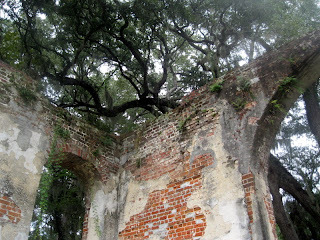 It's a great place for photos -- old patched-up brick, oak trees laden with Spanish Moss, very old cemetery. Parking is right on the roadside or in a field across the road. There are a few picnic tables provided along this deserted highway where you won't find any fast food restaurants. 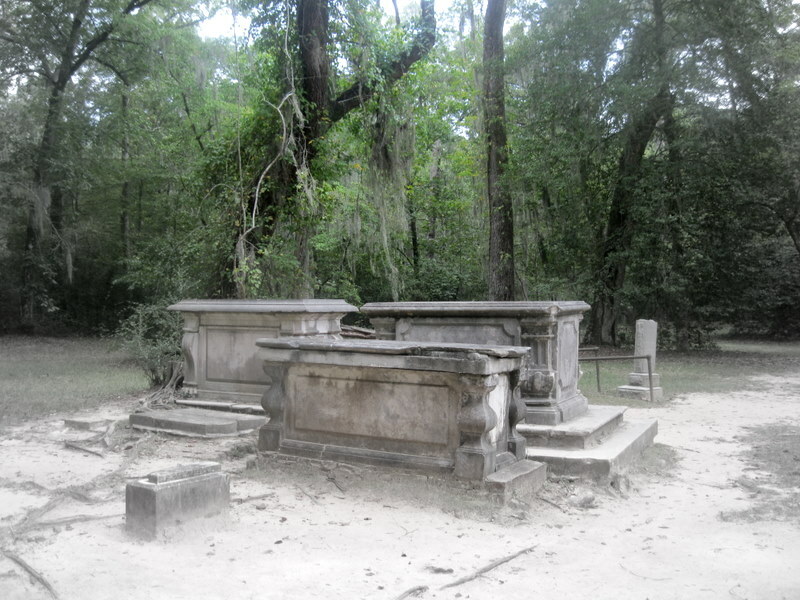 It was first burned in 1779 by the British in the Revolutionary War. The church was rebuilt in 1826 and again burned down in 1865, this time by Sherman's Troops, probably during the March To the Sea (Atlanta to Savannah) during the Civil War. 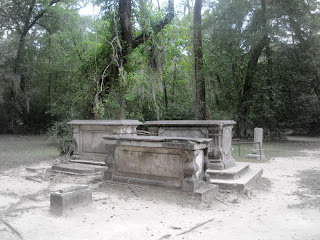 The church is located between Beaufort and Yemassee, South Carolina off Hwy. 21 on Sheldon Church Road, about a half hour drive outside Beaufort. I think it'd be great for home-schoolers to go there and study about either of the wars. Also, there are a couple of huge old trees split open. You can see a column of cement blocks inside the trees, it's the most unusual thing I've ever seen. I was told this was done to keep the weakened trees standing. That would be yet another lesson for the home-schooled. Old Sheldon Church Ruins is a beautiful wedding location and nearby Richfield Plantation is a great place for a reception. Thanks, Gail. 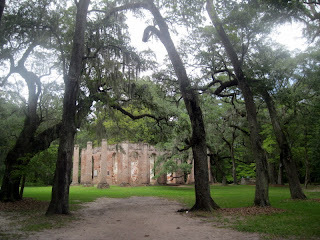 I've never been to Richfield Plantation. I would love wedding photos at Sheldon Church, they'd be beautiful.